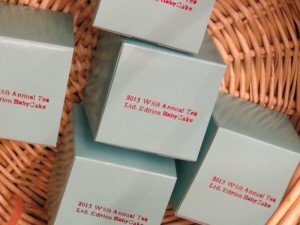 Avalon Glassworks designed glass cupcakes to coordinate with the WestSide Baby Tea theme. 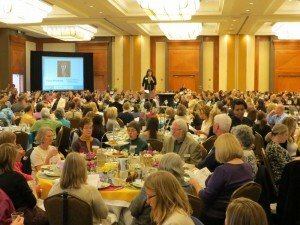 The annual WestSide Baby Tea was packed with over 600 attendees, as welcomed by Director Nancy Woodland. 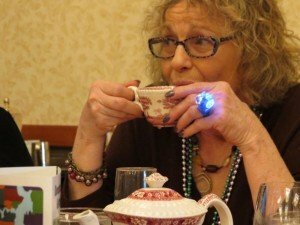 Table sponsors lent their tea sets; the Hilton Seattle Airport Conference Center provided the service. 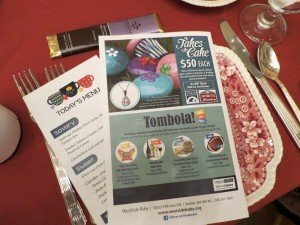 The “Takes the Cake” Event was integrated into the program. Glassblower Meredith Massar (who made most of the cakes) models the sealed boxes of glass cupcakes. 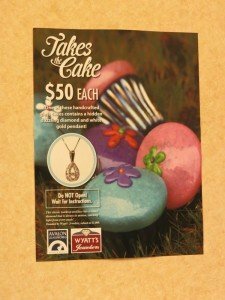 Volunteers made sure all of the 190 cakes were purchased for $50 each, with the lure of one box also containing a $1000 diamond pendant, donated by Wyatt’s Jewelers. 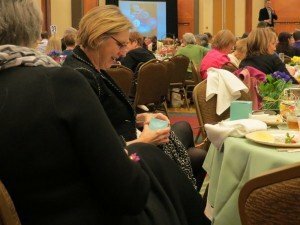 The afternoon’s program ended with everyone opening their cake boxes at once. The anticipation was part of the fun. 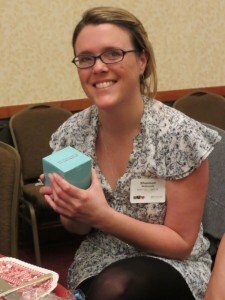 West Seattle Food Bank Baby & Child Corner volunteer Shannon McDonald gets ready to open her glass cupcake box. 189 of the boxes contained “just” a glass cupcake sculpture. But one also contained a diamond pendant. 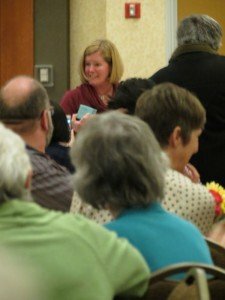 Our ecstatic winner! 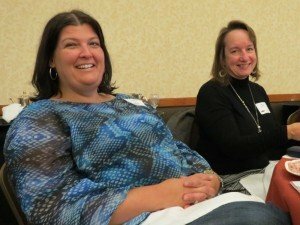 Thank you to the West Seattle Food Bank for sharing your table with us. It was a great networking opportunity with my colleague Judi Yazzolino, development direcor. 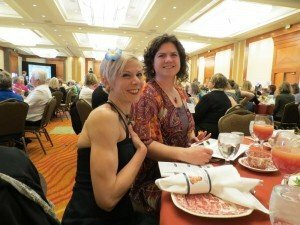 These gals also know a lot about fundraising: Katie Quinn and Amy Lee Derenthal of Food Lifeline, our tablemates, WestSide Baby supporters and Avalon Glassworks fans. 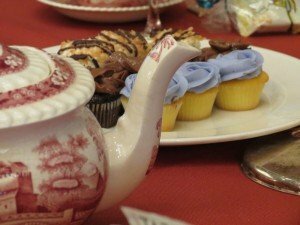 Why, yes, we’d love some tea! Glass cupcake sculptor Meredith Massar and Avalon Glassworks owner Shannon Felix. 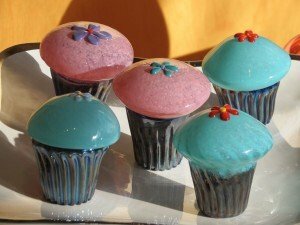 WestSide Baby purchased 190 glass cupcakes from Avalon Glassworks wholesale. They added their packaging, promotional materials, and a donated diamond pendant to one of the boxes. 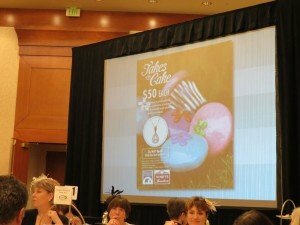 $9500 grossed on “Takes the Cake” event alone. 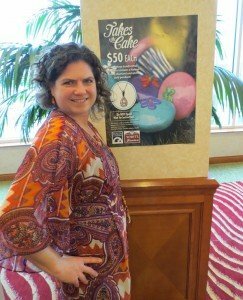 After expenses, over $5000 netted for WestSide Baby through glass cupcake sales. 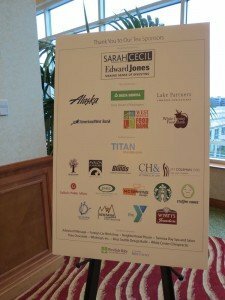 Thank you to all the sponsors who helped WestSide Baby raise over $315,000 during this one day fundraiser. 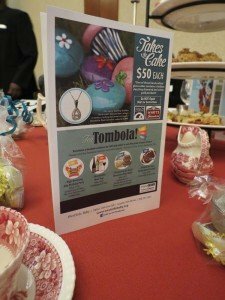 If you have a fundraising event, contact us to discuss a custom product to help raise money for your organization, glasssales@avalonglassworks.com, 206-937-6369.